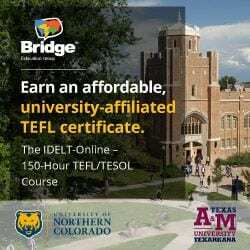 Teach | Learn coursebook now available! I’m proud as punch to announce, after much work (and thank you Dario my graphic designer! – http://www.dgb-design.com.ar) – Teach | Learn – A Student Created Content Coursebook is now available. See related blog posts about it here. View samples here – Preface: http://bit.ly/geMws5 Lessons: http://bit.ly/gylisE Teacher’s Notes: http://bit.ly/dGSj16 Certificate: http://bit.ly/hnznO4 Epub and soft cover coming soon! Your purchase does several things. 1. 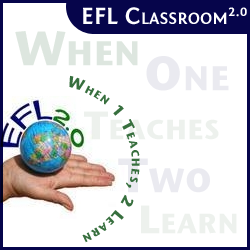 It supports a self published author and the community/content of EFL Classroom 2.0. 2. It promotes the student created content learning method. Students creating the curriculum and learning much more organically. This book has a CC Sharealike license. 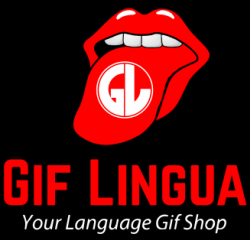 As long as you are using it for non commercial purposes – copy away and share! Please review on your own site and blog if you can. That will help immensely. For good or bad! Or grab the embed code and help others find the book. Thanks in advance. 2. A Voicethread students can visit to practice the lesson’s target language. 6. The book completely in power point – for whole class reference. 7. A wiki where there is each lesson in .doc format – you can download and edit / personalize! 8. A community where you can ask questions about the book and get answers. Looks great! I’d like a copy of this when I’ve saved up a few more pennies. I think if I were a student, I’d be excited to create things using these sample pages. Are you fulfilled by having published this yourself? It seems that it can be a more satisfying option for creative educators than working within the confines set by big publishing companies. Yes it is much more satisfying and you hit the nail on the head. I just came to my blog to write something along the same lines, about my life (part of my goal to write more personally this year) and hit your comment along the same vein. There is immense satisfaction being able to control things, to speak , to even yell and do what you believe is best for students. Of course, take advice but at the end of the day to work for yourself and be your own admin…. But it takes a dreamer, takes a big heart and takes a lot of time! But I got that in spades. Appreciate your comments and I agree – that’s what it will be about – students getting excited to “make a book” and contribute and not have a more “bible” telling them what is and what is best. I’ll also add – any teacher who can’t get the book immediately for whatever reason. Just click the above button “David” and leave me a reply. I’ll send a copy. I’m committed to students and education – not making a buck. Hey David. Are you still in Korea or back in Canada? Hello David, your work is really interesting. I’m currently teaching in a Secondary school in Spain, we use traditional textbooks but we are considering making a big change and start to use other resources. I’m wondering how I could get a copy of your coursebook to review it and see if it could be useful for our students in the future. Congratulations again! Email sent. Yes, it is a very good alternative for schools. You get the multi media resources, can edit the copy + it fosters strong teacher development and skills. 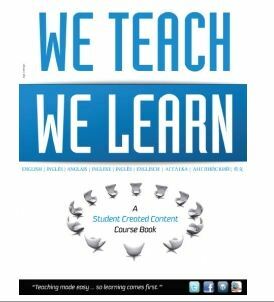 Ideally, every teach should purchase a copy but I’m not too concerned about that – print and play…. Even if you are in Canada, you are a god to Korean teachers. Your amazing website, your love of teaching, your technical and organizational skills are an inspiration to so many teachers. I can’t imagine how many hours you must put into what you do. I plan to purchase your book next week. I have used so many of your resources that I feel guilty, but when I adapt your original ideas, I always try to give attribution to EFL Classroom.2.0 and to you as the creator. My sincere thanks for all you have done and continue to do for teachers in Korea and all over the world. You should be proud of all you have done to make the learning of English interesting, fun and accessible. You made my day! thanks so much for the positive words and appreciation. It keeps me going…. But I guess my own secret, if there is one, is that I “keep what I give”. Look forward to hearing how you use the book and it is a slow process but it will gain ground/traction. I think this kind of distribution, direct marketing will and can work. Your support very appreciated! I’ll have to do a blog post about what motivates me and with some gossip about what I actually am doing now and how I approach sharing things online. I get asked a lot. Again, steal, remix and redo all you want. It’s about the students – not us. And you are right too, it is about making things both interesting, fun and accessible. I would like to have a copy to review and would be delighted to hear from Maria. I teach Spanish students too, and it would be very useful to know her procedures and tips for spanish learners. Thanks you David in advance for being so generous! I’ll send a long shortly. In return, just provide some feedback on the wiki or make even better a blog post. Positive or negative!!!! I just got my hard copy/real book in the mail and it looks great. But the ebook is the real deal with the multimedia links. Thanks for testing it out with your students.